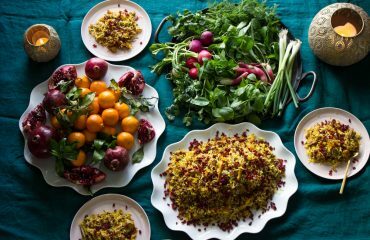 It always starts with a dinner party (and maybe some wine – and of course some Tahdig). About a year ago we had our good friend Krista over for dinner. Loobia Polo – Mast-o-Khiar – all the usual edible suspects. Krista asked me about the preparation of Tahdig, which got me talking about this idea I had for starting a food blog; an idea that had been brewing in my head for quite some time. There it sat comfortably – in its cozy home clothes – in the back recesses of my mind – composing itself – cooking itself – photographing itself. In short – taking up some valuable real estate in my already cluttered mind. After patiently listening to my meandering diatribe on sharing what I know about Tahdig making with friends and its relation to writing a blog – Krista gave me a straight-up talking to. 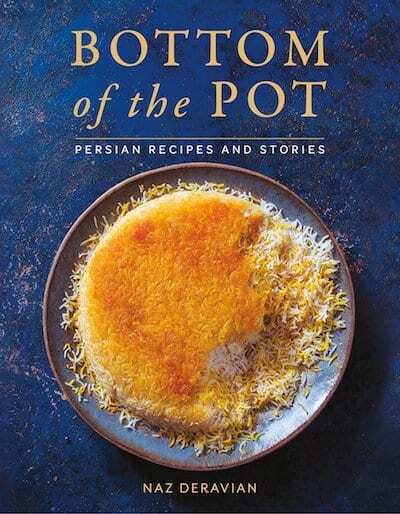 Time to get the Tahdig out of my head and onto the blogosphere. The right friend – with the right words – at the right dinner party. And so here I am one year later, absolutely humbled and honored to be nominated by SAVEUR MAGAZINE for their 2014 Best Food Blog Awards. 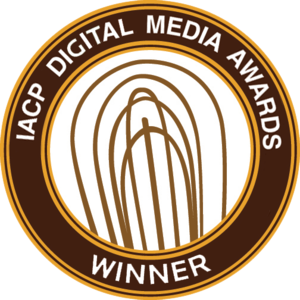 Bottom of the Pot is nominated in two separate categories: Best Regional Cuisine Blog and Best New Blog. 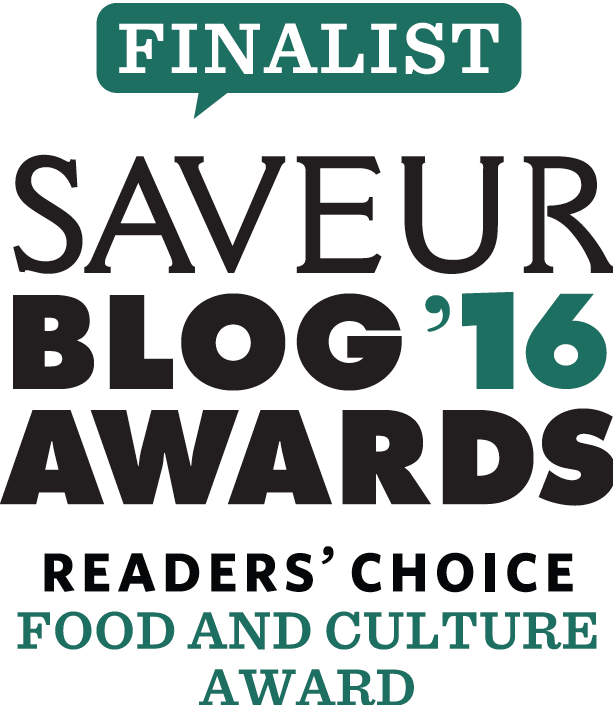 If you would like to vote for me or any of the other amazing nominated blogs you can click on the link or on the SAVEUR awards badge on the side bar. Voting closes on April 9th. Thank you all for all your support, kind words, and encouragement. But most of all thank you for joining me on this Persian food journey. The idea for this Grilled Halloumi appetizer was also born out of a dinner party. An impromptu dinner party – the best kind. 2pm on a Saturday afternoon. Phones start lighting up. How about a casual dinner at our place – the kids can all play… 5 pm – same day. The house awakens from its lazy slumber and echos with laughter/shrieking/crying/stomping/dancing and delectable secretive whisperings of children. Lillet, and Drew’s homemade kombucha flow freely (not in the same glass!) amongst the grown-ups. 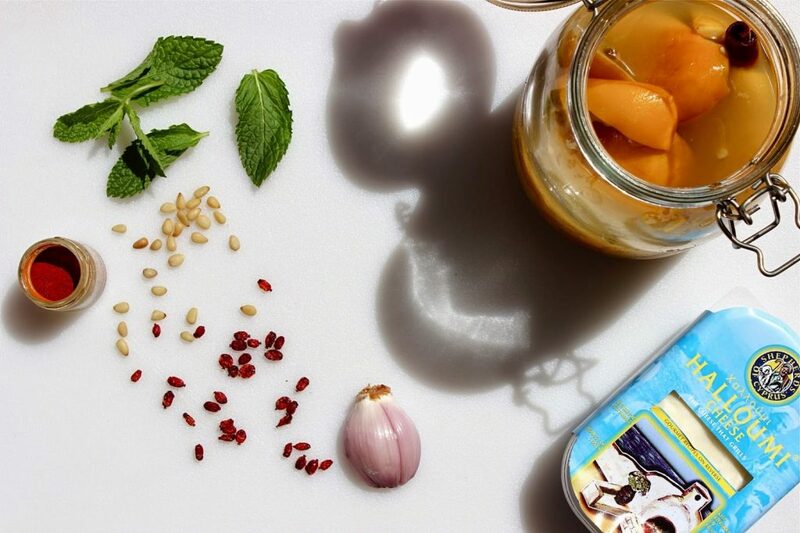 Friends are put to work chopping the preserved lemons, assembling the salad, stirring the Kashki Bademjan (I had thankfully stored that away in the freezer – perfect for a last-minute dinner party dish). Chairs are pulled out of every room of the house – the kitchen table far too small to seat all fifteen of us. And yet, somehow we all manage to squeeze in. Some sitting – some standing – a couple sharing the piano bench – Drew crouched in the corner on the foot stool. Baby Lilah is passed around the table like another delicious appetizer so her parents can have a moment to eat. And the best part of all – the children are eating! Some (not mine) have even dug into the sauteed mustard greens. The children call out to “aunts ” and “uncles” – although technically no one is anyone’s aunt or uncle. These are friends with whom a night like this is possible. Old friends with history. Family. Dried barberries are typically used in any number of Persian dishes – mixed in with rice (Zereshk Polo) – used alongside other ingredients as stuffing for poultry or seafood – enjoyed as a stew – or turned into jam preserves. The dried berries are small like a currant and have a distinct tart flavor. When cooked they release their bright red color and add a beautiful hue to the dish. These little berries really liven up a dish both visually and with their tart pop of flavor. 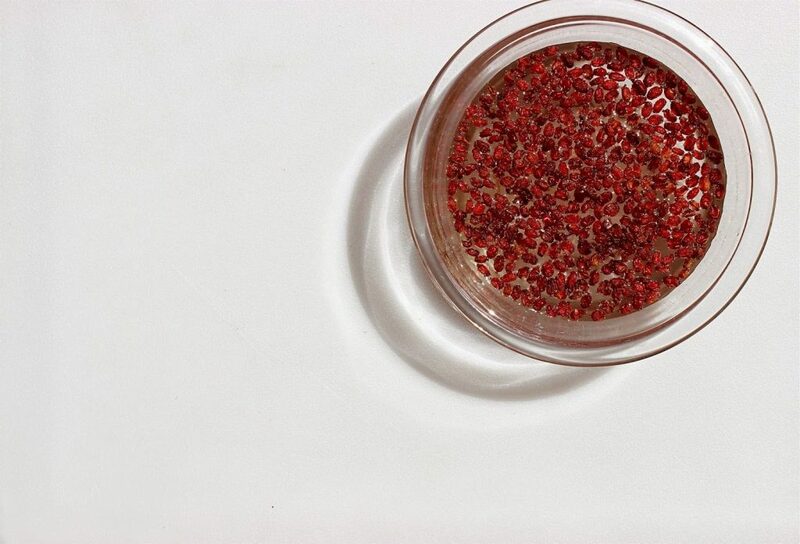 Besides the traditional methods of preparing them I think these berries can really accentuate any number of dishes like salads, quinoa pilafs, eggs, even baked goods. Barberries are also known for their medicinal qualities – such as aiding with indigestion and other digestive ailments. I bet we will soon see these little berries lining up the shelves at Whole Foods touting their ancient medicinal powers – declaring them the next superfood. In the meantime you can purchase dried barberries (for a very affordable price) at Iranian grocery stores or online here, here, or on Amazon. A search for organic barberries online will also give you a few options. What’s important is to use the freshest berries. The ones that are bright red. The shriveled up darker ones are usually old and should be discarded. It is also important to wash and soak the berries before use. The berries contain a lot of sand so soaking them allows the sand to settle at the bottom. Soaking also re-hydrates and plumps up the berries. This past winter I made my first batch of preserved lemons with the abundance of Meyer Lemons that were popping up at every Farmer’s Market. And I am so glad that I did because they are fantastic. Salty and sour. Once again – right up my alley. There really wasn’t much to it. 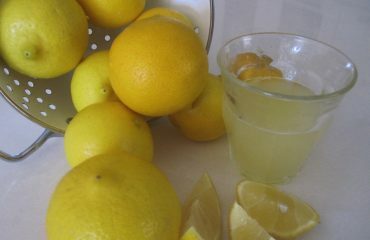 A bunch of good looking lemons, stuffed with sea salt and left to ferment in their own juices for a couple of months. I also stuffed a couple of cinnamon sticks in there. There are many sources online that can guide you through the process such as this post by David Lebovitz and this one from Nourished Kitchen. You really can’t go wrong. I already have so many plans for my preserved lemons. The first of which was this topping. Halloumi is an unripened, brined cheese from Cypress. It is typically made from a mixture of goat’s and sheep’s milk. And because of its high melting point it’s great for grilling or frying. It is somewhat similar to feta cheese in its salty, briny flavor. This cheese is right up my alley. It makes a great appetizer served with a salad or topped off with some delicious ingredients as I have used here. 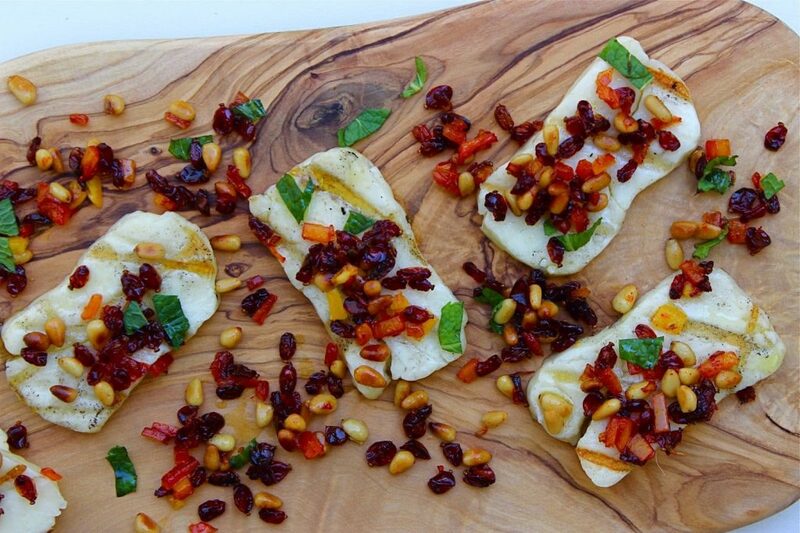 The tart pop of the barberries, the crunch and nutty flavor of the pine nuts and the intense, unexpected and lively bite of the preserved lemons really make for a delicious and beautiful topping for the grilled (or fried) Halloumi cheese. A perfect appetizer for an impromptu or planned dinner party – or even a party of one! Many years ago I made the decision to once again re-locate – to another city – another country- same continent this time. Away from parents, family, and childhood friends. In search of a new adventure, chasing old dreams and a California sunset. That new city has now become home. But with aging parents, and children who are growing much too quickly I more and more find myself longing for a place and time where we could all be together. And it’s on these days that we throw an impromptu dinner party. To celebrate everything and nothing in particular. To celebrate good news and good friends who have become our surrogate family. And we celebrate the only way I know how. By sitting around a far too small kitchen table and sharing a meal. Suffice to say my bucket is full. * Cleaning the barberries: Remove the stems from the barberries and pick through for any that look too dark and old. Place barberries in a bowl and fill with cold water. Allow to soak for 15-30 mins. Lift barberries out of the water with a small mesh sieve or your hands so as not to disturb all the sand that has settled at the bottom of the bowl. Give the barberries a quick rinse place on a paper towel or dish towel and pat dry. Barberries are now ready to cook. If you can’t find barberries you can substitute with dried cranberries, or cherries. If they are sweet I would omit the maple syrup in the recipe. 1- Heat oil in a small skillet over medium heat. Add the shallot and saute until soft and fragrant, stirring constantly. Take care not to burn. About 2 minutes. 2- Add barberries, lemon preserves, maple syrup, and saffron water. Turn down the heat to medium/low. Saute for about 10 minutes until the barberries are tender. 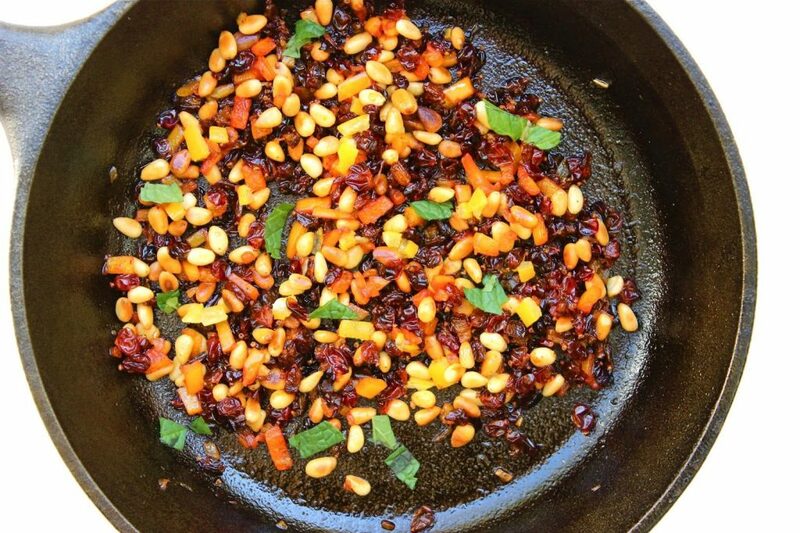 Add the pine nuts and give a quick stir. Turn off the heat and set aside. 3- Cut the Halloumi in about 1/4 inch thick pieces. Place on the grill and grill each side for about 3 minutes. Until golden around the edges and soft and melting on the inside. Alternately you can also fry up the Halloumi on the stove top. 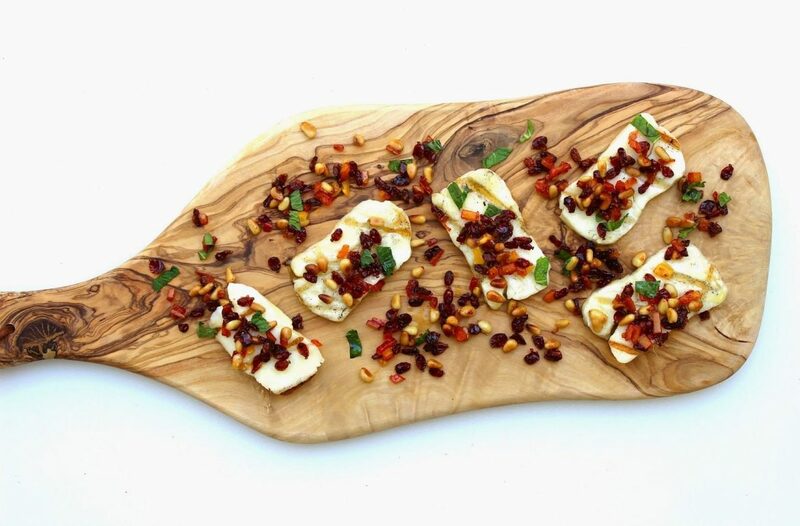 4- Place Halloumi on a serving dish and top with barberry mixture. Drizzl with a little olive oil and tear up some pieces of fresh mint to garnish with. Enjoy right away. The Halloumi will get kind of tough and rubbery if it sits for too long. Dear Fariba, your lovely comment has just filled my bucket even more! I'm so touched by your words. May your bucket always be full too! That looks delicious and your pictures are beautiful! Gingembre et vanille – thanks so much! Thanks for stopping by! Marita – Thank you and so glad you stopped by! Hope you enjoy making my recipes! Naz this looks amazing!! Your photos are beautiful and one of these days I will test out my cooking skills on one of your easier recipes (like the kids ones hehe). Lovin' it! Jamie! Thanks so much for checking it out and the kind words. And let me know how the cooking goes! 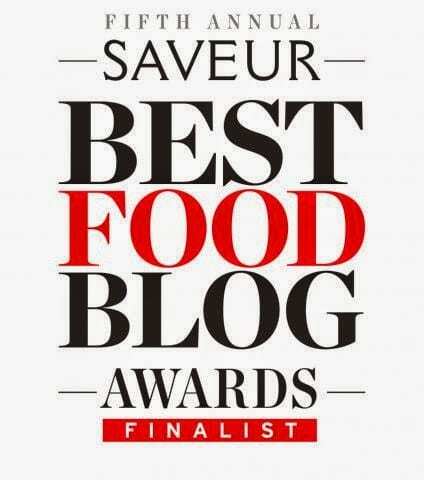 Congratulations on your selection as a finalist in the Saveur Food Blog Awards! 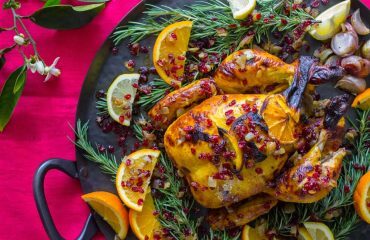 I would to personally invite you to share your gorgeous food photos with us over at Food Foto Gallery . com – In March alone, we had 26,382 visitors to the site & there's no complicated approval process like the big guys. Any photos related to food (that are not watermarked) are accepted & get posted automatically. Being a food blogger, myself, we also share our daily faves on social media, giving exposure to fellow foodies whenever we can. Hi CJ – Thanks for the invite. I will definitely keep this in mind!